Dolphin have supplied and installed thousands of Handicare, Freelift and Minivator Stairlifts. 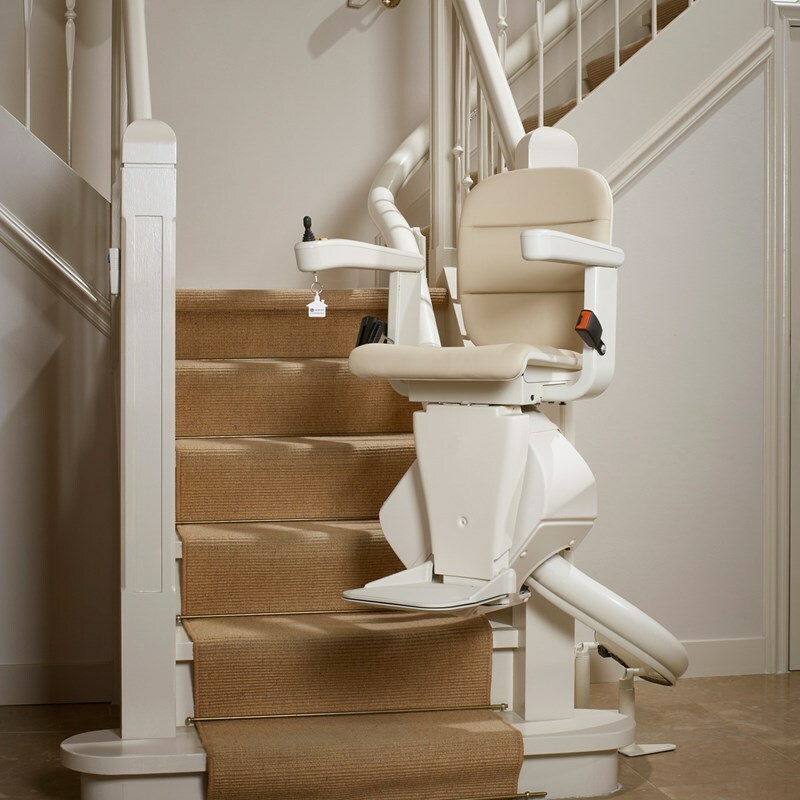 The Handicare Group now own the Minivator and Freelift Stairlift brands and have one of the largest range of stairlifts. The Simplicity Plus is an economy stairlift with optional powered features, offering the choice of manual or powered footplate and swivel seat options. All Handicare stairlifts have safety sensors on the motor carriage and footrest which are designed to stop the lift if it meets an obstruction. This is Handicare's single rail curved stairlift, the tubular track has a diameter of less than 8cm. Formerly branded as the Freelift Stairlift, the Van Gogh is installed on the outside bend of the stairs, the Rembrandt is fitted on the inside bend of the stairs and the Vermeer is the model used for multiple flights of stairs. The 2000 is a twin rail stairlift for stairs with bends. The versatile modular rail design helps the 2000 to have the tightest track bends on the market.